Everyone at the Granger Group knows the value of customer feedback, and we pride ourselves on client testimonials from years of dedicated service. Please take a moment to review us on one or more of the popular the sites below. 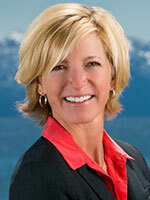 Thank you for choosing us to help you buy or sell your Lake Tahoe real estate. Our goal is simple – to provide the very best service in our industry!